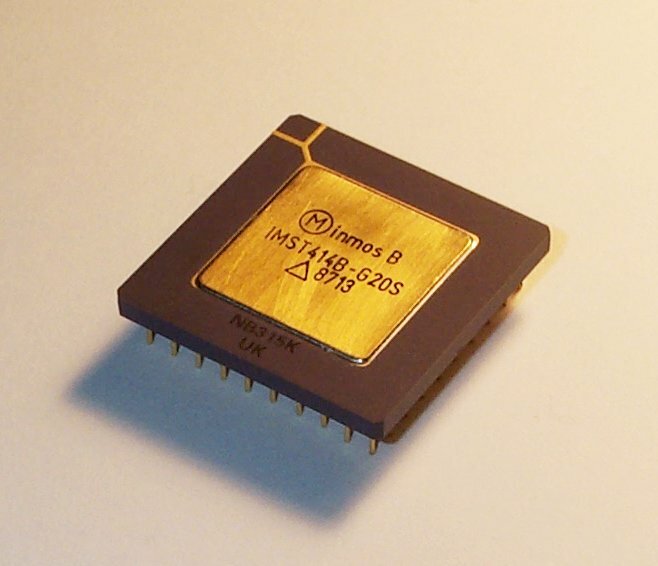 An Inmos RAMDAC (the 28-pin DIP) on the motherboard of a 1989 IBM PS/55. Darklanlan [CC BY 4.0]Inmos, based in Bristol, were a — no, make that the — British semiconductor company, in the days when governments saw such things as a home-grown semiconductor manufacturing capability to be of strategic importance. They made microcomputer peripheral chips, RAM chips, and video chips (the workaday silicon of 1980s computing) but their exciting project was the Transputer. We were told as EE undergraduates that the architecture was RISC, but reading up on it nearly 30 years later I learn that, while it had a relatively simple instruction set, it achieved its one instruction per cycle not by RISC techniques but by clever use of a ROM microcode. Whether this was teaching by lies-for-the-children or the effect of Inmos’ marketing for the processor is unclear, but it’s certainly true that they were making a lot of noise about what the Transputer could do. I remember seeing the video below with its two-screen butterfly demo, ray tracing, and Mandelbrot set, and being bowled over by something that took my Commodore Amiga hours being performed in almost real-time by the Transputers. Yes, relatively low-definition ray-tracing of silver balls was a big deal back in the early 1990s. 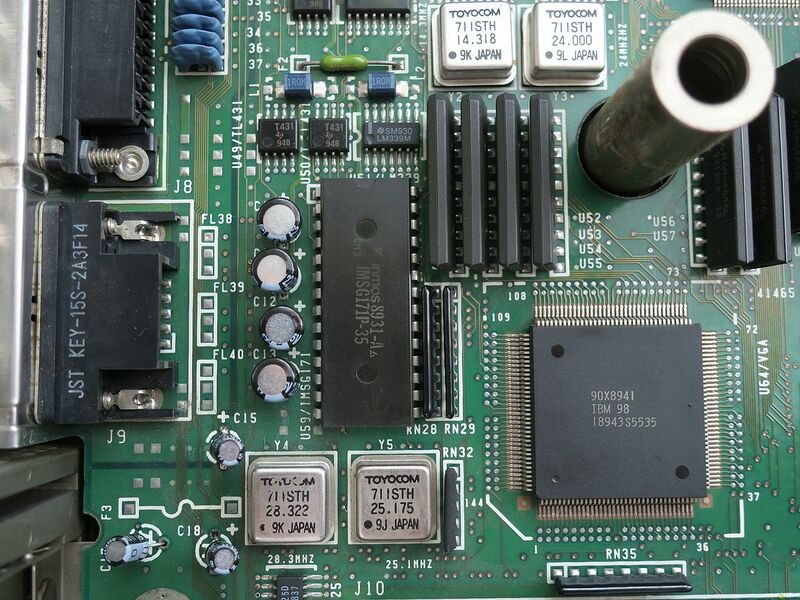 The Transputer range was developed from an initial 16-bit offering in the early 1980s to a 32-bit version, then versions for SoCs including an ill-fated collaboration with Sinclair Research, and versions with inbuilt floating-point capabilities. The advantages of the Transputer architecture were eventually whittled away by advances in conventional processor performance, and by the early 1990s with SGS-Thomson in ownership of the company the Transputer development was halted. It had found its way into a range of niche products, but had somehow failed to break into the mass-market dominated by more conventional microprocessors from rivals such as Intel and Motorola. Today both Inmos and the Transputer are footnotes in the history of computing. Oddly enough we are now surrounded by mass-market computers with multiprocessor architectures of British origin, but they feature the true-RISC ARM cores whose ancestors were in development at Acorn in Cambridge while the Transputer was grabbing the limelight. The Inmos semiconductor plant in South Wales is today owned by International Rectifier and is still in production, though its days producing Transputers are far behind it. That Transputer development system at Bletchley is to be part of a restoration project giving the museum an exhibition of Inmos history. Meanwhile the Transputer itself may be dead, but it does have a descendant that is very much still in production. Xmos are another Bristol-based semiconductor company that specialise in CPUs for demanding audio applications, and since their founders include former key Inmos employees their cores are heavily influenced by the Transputer. I may never have encountered a Transputer after leaving university, but a quarter century later as part of a contract working on a high-end audio product, I came as close as it’s possible to get to one because it had an Xmos CPU. The Transputer then, a bold vision of a semiconductor future that eventually happened, but not quite in the way that its creators hoped. If you find one, hang on to it, it’s a real piece of history!